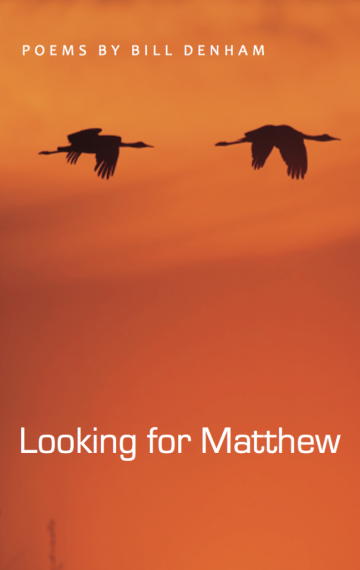 In this small book of seventeen lyric and narrative poems the author chronicles the grief he experienced following the shooting death of Matthew Solomon, September 4, 2008 on the streets of San Francisco. Starting with Day 2 and going through Day 78 of the third year, Denham’s poems capture not only the small details of particular experiences and the poignant, wrenching internal states of grief but also the profound learning that always accompanies those states. In this, the poems go beyond the individual and call our attention to the thousands of young people who lose their lives to street violence in our cities.